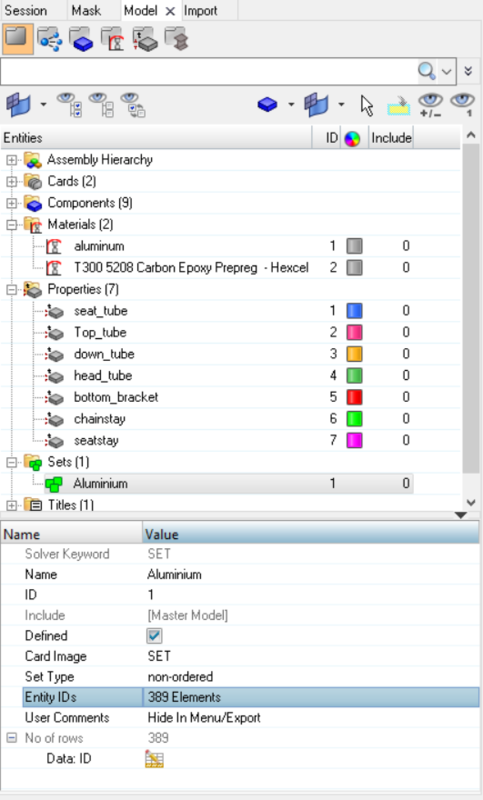 Hi I am new to HyperWorks and as part of a university project I need to optimise a design to achieve certain temperatures for certain materials. To do this I need to record the maximum temperature of different materials, change the design to improve these values and record the maximum temperatures again. When using the model in HyperView, all materials appear as "Model 1" as a component. Can anyone tell me if there is a way I can isolate each material in turn and record its maximum temperature? (There are only 3 materials). In Hypermesh, create element Set with all elements of a particular material. Then while post processing in Hyperview isolate only those elements using the Set and display the contour.